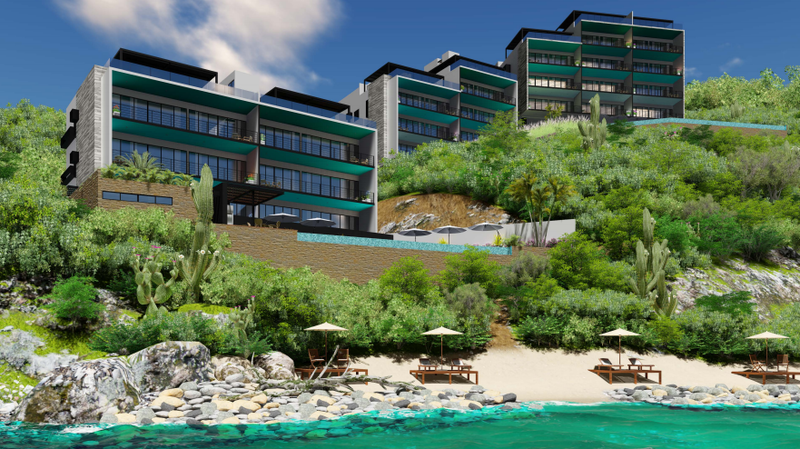 We are excited to share our new developments for sale in Mexico! 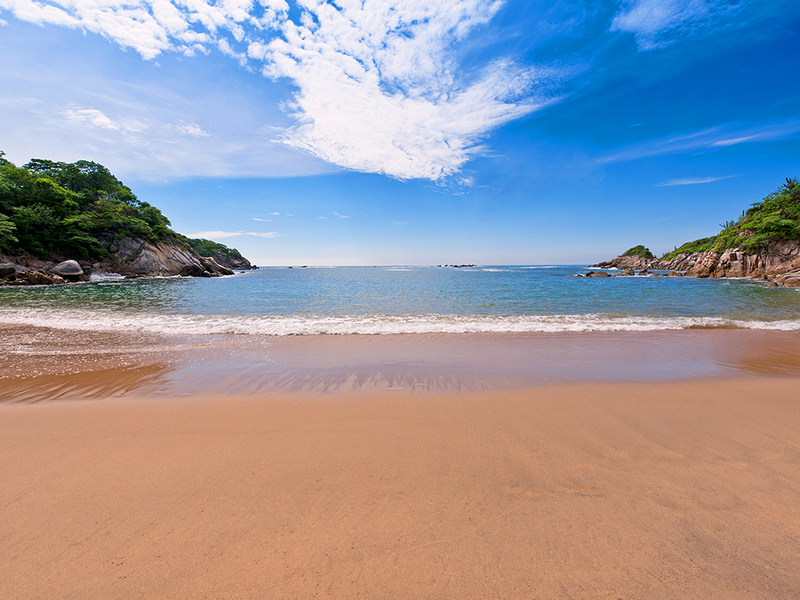 From Huatulco to Puerto Angel and Puerto Escondido, we’ve got you covered from Oaxaca City to all along the Oaxaca coast. Located at the gateway to Tangolunda with amenities all around you. Lounge on the roof top terrace while the palm trees lining the golf course sway from the warm ocean breezes and the sounds of the waves hit the beach in the distance. 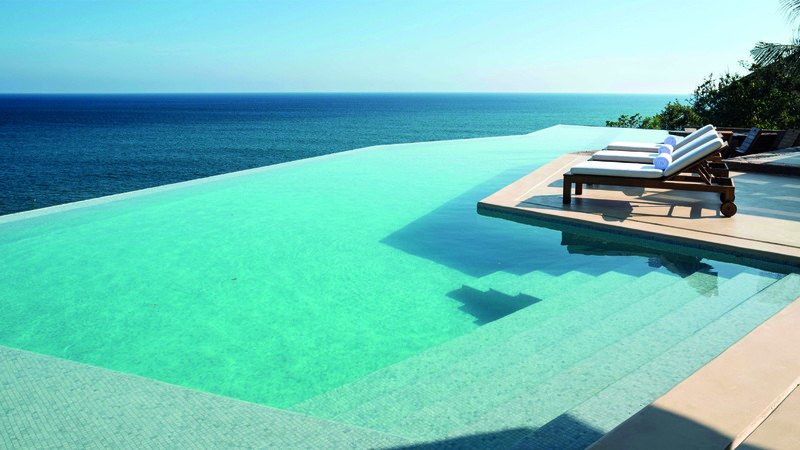 Surrounded by exuberant natural beauty, Sotavento is crated to include a variety of exclusive amenities. The main design aspect of Sotavento has been its location, integration of outdoor spaces and exclusive design of each area. This gorgeous gated development offers 24 oceanfront and ocean view luxury condominiums as well as 4 penthouses designed in contemporary architecture with fine attention to detail. Also offering multiple amenities like a lane pool, cascade pool, gym, steam room and 4 jacuzzis so you can sit out under the stars while you sip a glass of wine. The diamond to this development is the location! 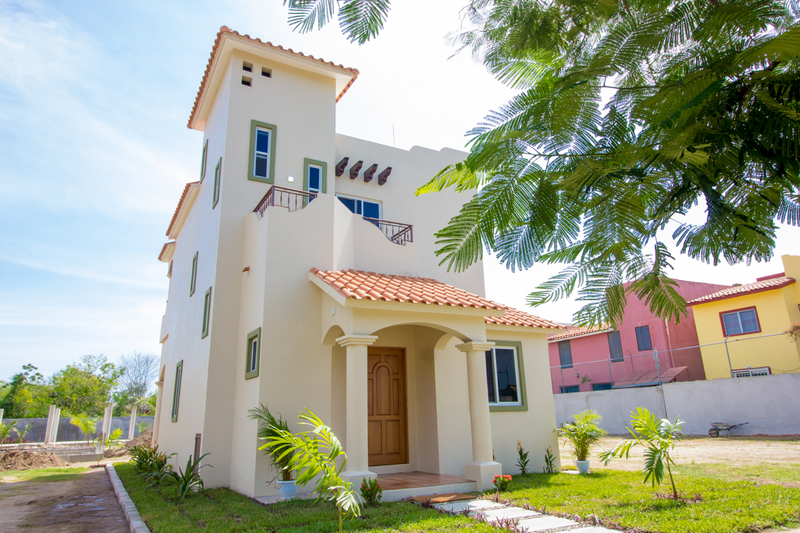 Located at the Point of St. Cruz ( Punta St. Cruz) your views are breathtaking from every angel as well as just walking distance from the supermarket, restaurants, beaches and more! 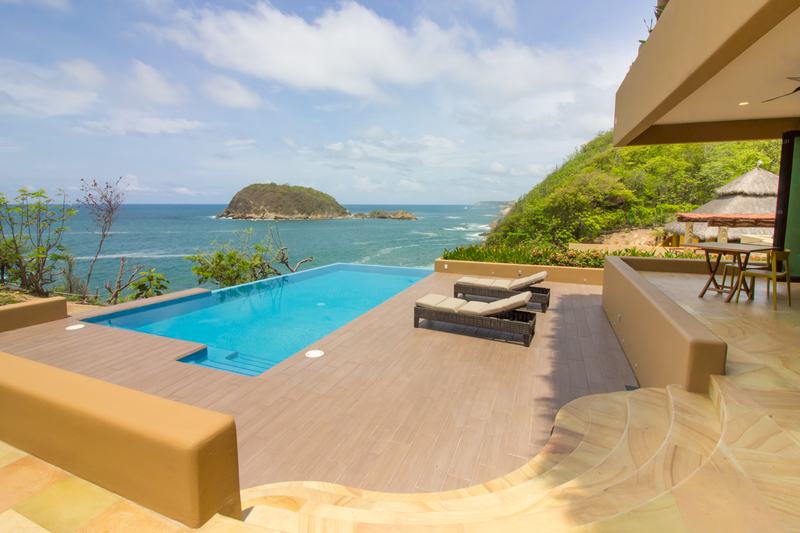 Enjoy luxury oceanfront living on ‘The Point’ at Punta Arrocito. Spectacular views, modern finishings and many nearby amenities make this condo development one of a kind. 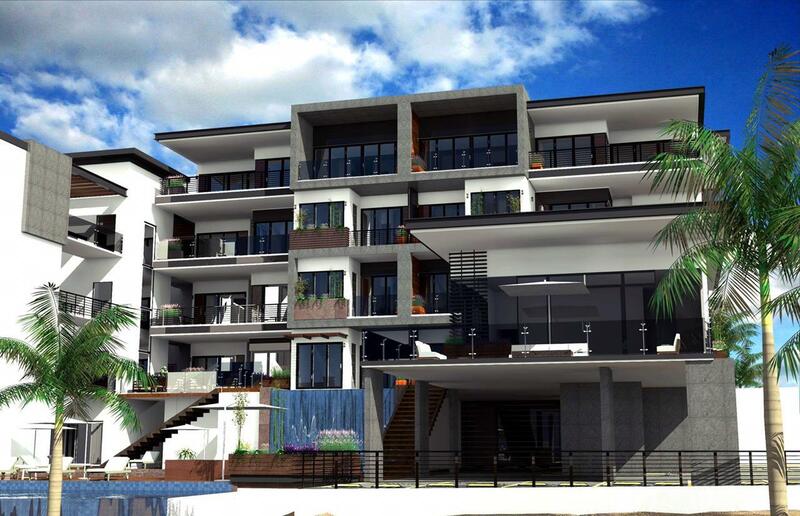 You cannot beat the oceanfront views on all 3 sides of this development. 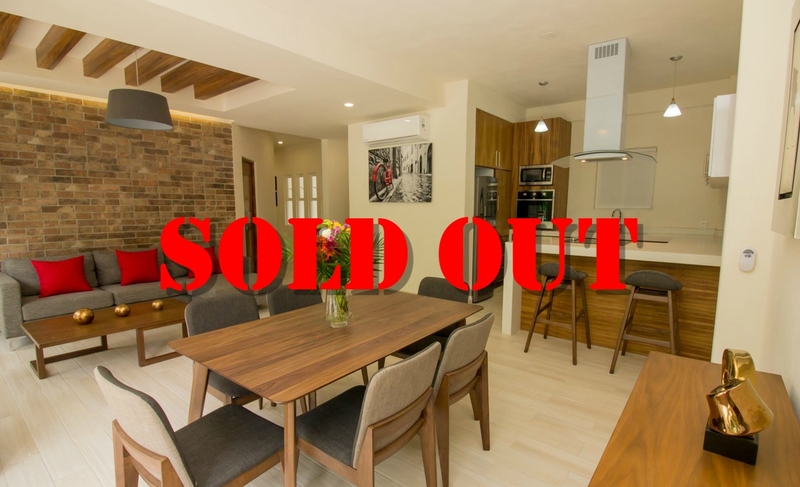 Only 5 units left! Sold in CAD. 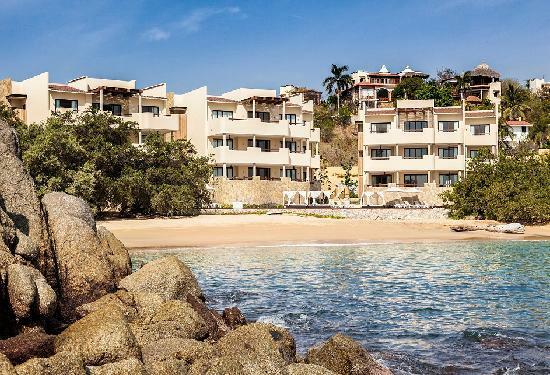 The unique residential community of Montecito is located on a private peninsula on the East Conejos Bay of Huatulco. 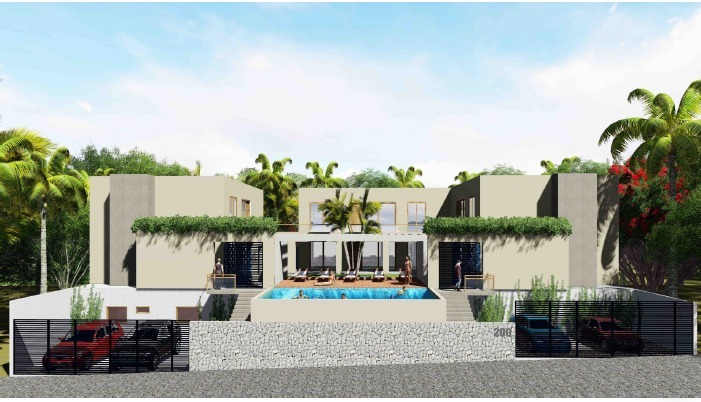 This 25 private villa development offers villas with spectacular views of the Pacific Ocean. This new gated community consists of 39 residences and is designed with many amenities for 50+ living. Mansiones’ quality construction can easily be converted and designed for the assisted living client because of the large bathrooms, hallways, etc. 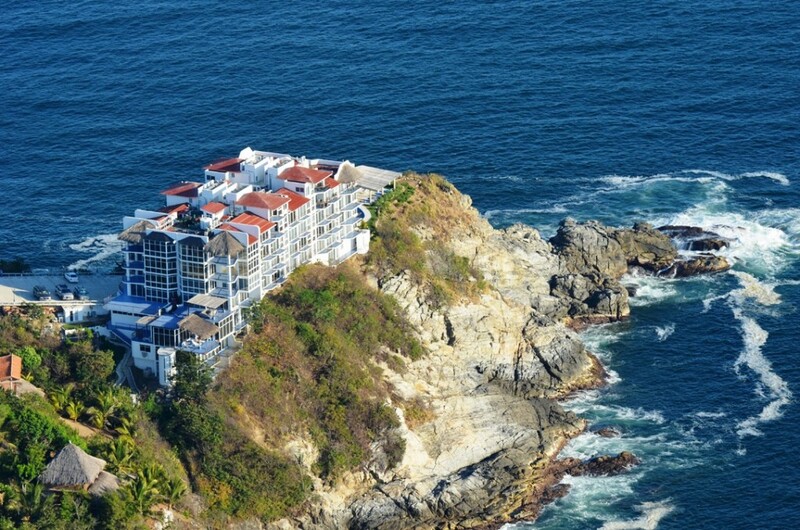 Mansiones is located in the Bays of Huatulco, Oaxaca Mexico. 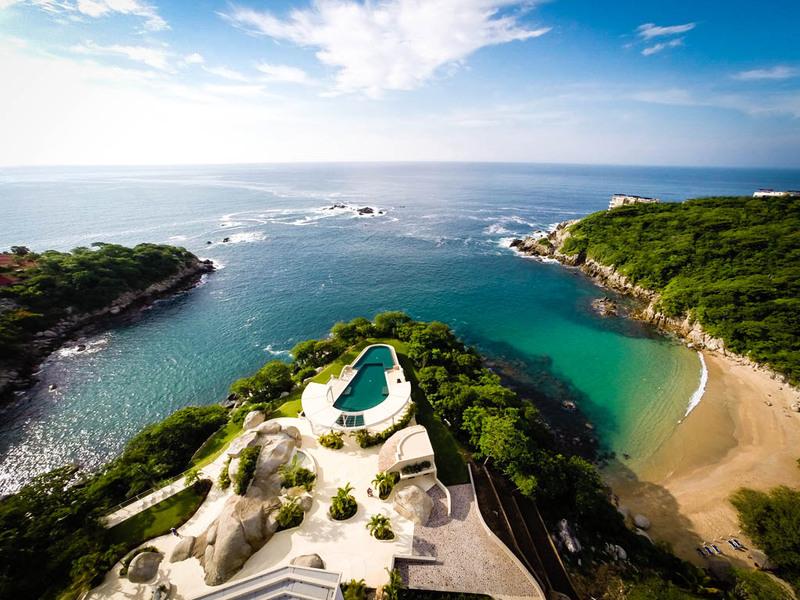 This gated development offers 11 oceanfront lots in Residencial Conejos, one of the most exclusive residential areas of Huatulco. Each lot provides individual gated driveways, exterior stone walls, landscaped common areas and shared waterfront palapa, all situated to offer the most incredible ocean views. Design options vary. Spectacular ocean view property with direct access to Arrocito beach in an exclusive residential community. This development offers both oceanfront and ocean view luxury condominiums designed in contemporary architecture with fine attention to detail. 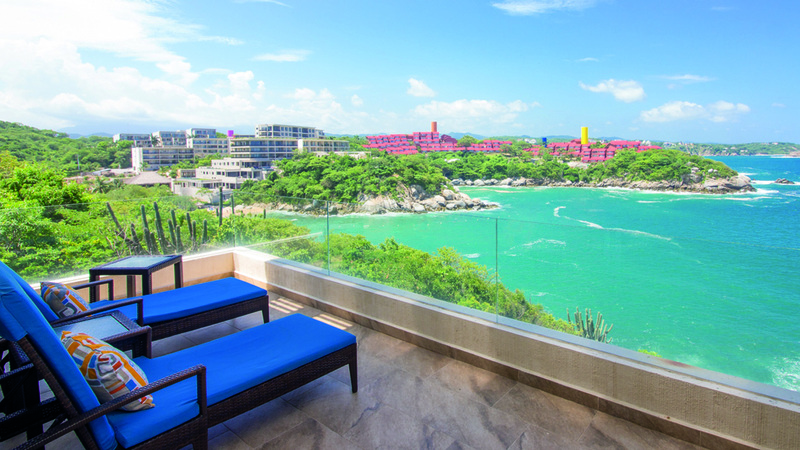 This low density, environmentally sound development with a direct acces to the beach, gym and a cascade pool is located in the bays of Huatulco in the state of Oaxaca. This gorgeous gated resort development offers both oceanfront and ocean view luxury condominiums and villas designed in contemporary architecture with fine attention to detail. 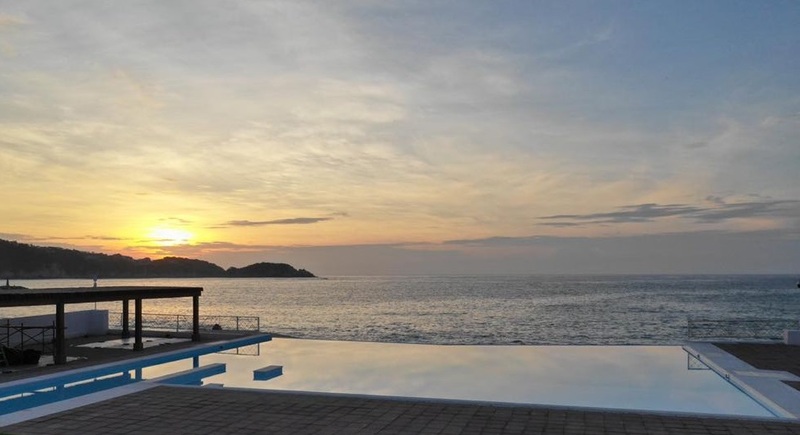 This low density, environmentally sound development with a beach, beach club, gym and multiple pools is located in the bays of Huatulco in the state of Oaxaca. Luxury residences hidden in a small bay protected by nature and right in front of the sea, with all the amenities of a five star hotel Celeste Beach Residences and Spa offers you a great opportunity to have an un comparing residence and a unique life style, under the fractional property model. 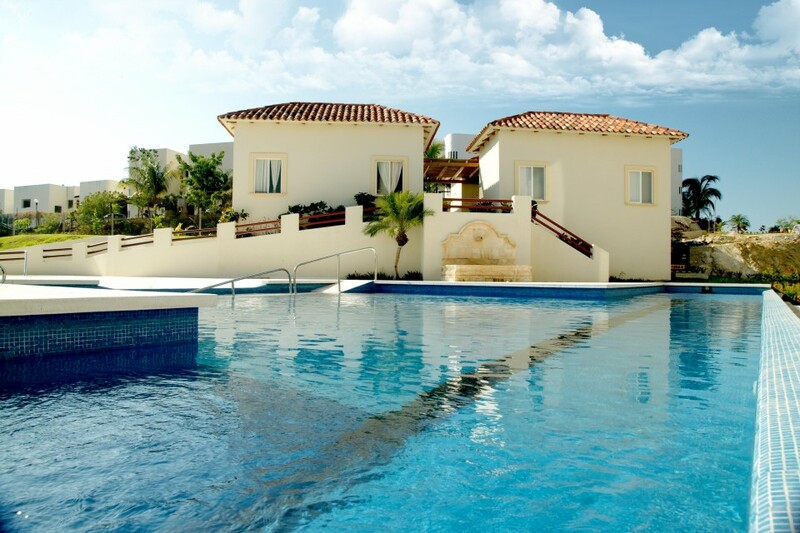 Experience beachfront luxury at its finest inside an exclusive gated community in Conejos. 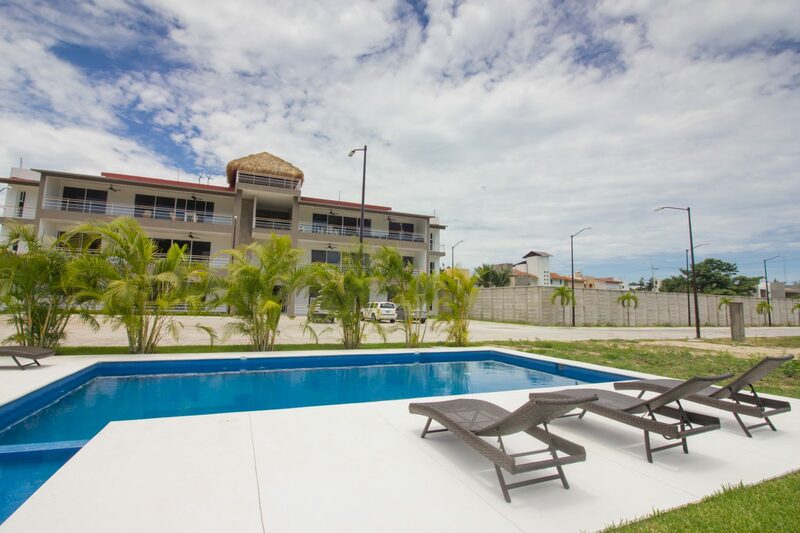 Bocana Beach Condos is the ultimate in affordable beach living only a 3 minute walk to Bocana Surf Beach. Nature is all around you in this rustic paradise where the Copalita River meets the Pacific ocean and is bordered by a nature reserve. Walk to everything from this amazing development, walking distance to the beach, restaurants, supermarkets, downtown and much more. Enjoy the shared palapa, pool, lots of green areas and private parking. Help us help You Find Your DREAM HOME.